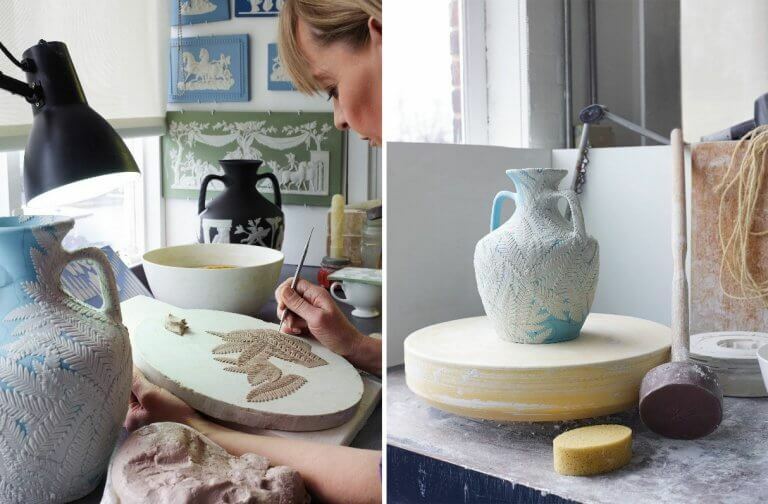 The Wedgwood Artist in Residence programme celebrates Wedgwood’s renowned heritage of innovation and craftsmanship dating back to 1759. The newest artist to join the residency is the incredibly talented Japanese Ceramicist, Hitomi Hosono. Hitomi grew up in an area that she describes as ‘the Stoke-on-Trent of Japan’, surrounded by potteries. Her grandfather was a plaster and ceramics worker so she remembers being surrounded by tiles and ceramics as a child. 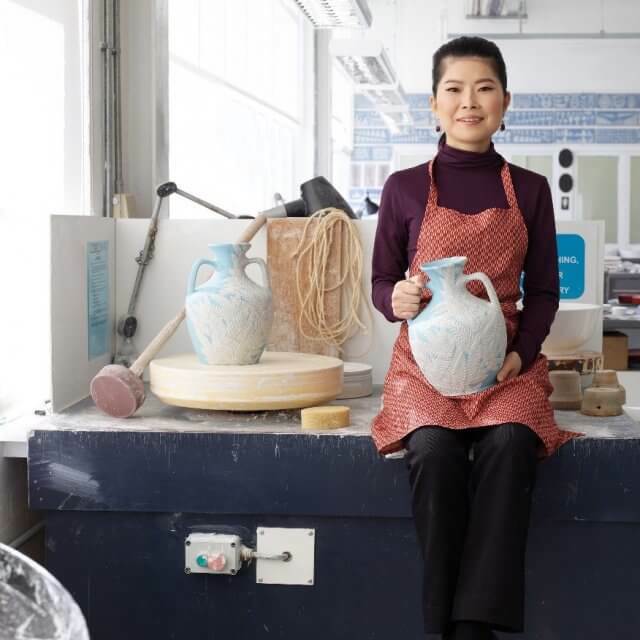 After studying traditional ornamental pottery at art college in Japan, Hitomi studied in Denmark and then secured a place at the Royal College of Art in London for her Master of Arts degree. While studying there in 2008, Hitomi spent 6 weeks at the Wedgwood factory as an intern, and the rest is history. The pieces from the collection have great intricate detail using skilled and time-consuming techniques such as piercing, ornamentation, turning and moulding. For example, it takes one of Wedgwood’s Artisans two days to apply 1,150 individually crafted daisies to the Kasumi Vase. The Shoka Vase, Kasumi Vase, Haruka Bowl, Shuno Box, Touka Vase and set of 3 Sansai Objects from the Wedgwood by Hitomi Hosono collection are represented by Adrian Sassoon, the UK’s leading dealer in Contemporary Works of Art. For futher info about Wedgwood, click here.